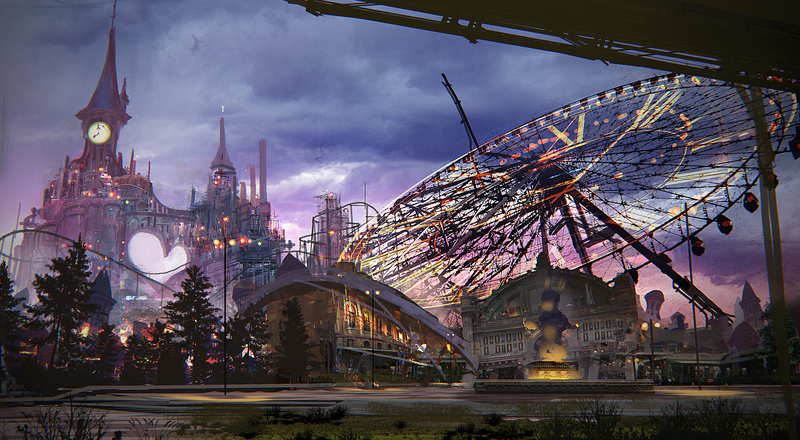 Extraterrestrials suddenly invaded. Deploying the “LIving Machines” that they created, mankind left to the moon after being overwhelmed by their force. Mankind put together a resistance, made of combat-type android soldiers, in order to take back the Earth. In order to go past the stand still of the war situation, mankind also put together a unit of “YoRHa,” a new kind of combat-type androids. Wunderschöne Musik. Ich habe ja gehofft, dass PG ein eigenes Spiel macht aber das ist auch okay. Wäre gut, wenn sie wirklich nur das Gameplay machen und der Rest die Story, dann wirds ein richtig gutes Spiel. Hatte Nier nie gespielt, aber schon oft von der guten Geschichte gehört. Warum muss es ausgerechnet Platinum Games sein? An wie vielen Titeln arbeiten die zur Zeit bitte? Es könnte allerdings was werden wenn sie die Story vom Original einfach übernehmen. Wenn die ne neue Story bringen kann das nur ein absoluter Fail werden. Oder gibt es da schon irgendwelche Infos zu? Edit: okay, gerade gesehen. Yoko Taro klingt vielversprechend. Von ihm ist ja Drakengard und NieR. Trotzdem bleibe ich skeptisch. PG traue ich durchaus zu, dass es vom Gameplay her ein MGR oder Bayonetta mit Alibi-RPG-Elementen wird und das würde einem NieR einfach nicht gerecht werden. Eine seltsame Mischung aus großer Vorfreude, Skepsis und Angst macht sich gerade in mir breit. Hätte nie gedacht, dass PG mal eines meiner Lieblingsspiele in die Finger kriegt. Weil PG einfach Weltklasse action-gameplay macht? Und es soll ja kein Remake werden, sondern ein neues project ,ob 'sequel' ,eigenständig oder w/e keine Ahnung. Da die richtigen Leute verantwortlich sind habe ich keine Zweifel, dass es superb wird,denn das Schwächste an Nier war definitiv das Gameplay IMO. Trotzdem traue ich ihnen irgendwie nicht zu ein Gameplay hinzukriegen, das gut zu einem RPG passt aber wir werden sehen. Hab halt ein wenig Angst, dass es ein Bayonetta im NieR Universum wird und mit einem RPG am Ende nichts mehr zu tun hat. Nach dem Motto "wir schnappen uns die Franchise inkl Storywriter damit wir die Story nicht wie sonst immer verkacken und wenden ansonsten das PG-Schema-F an. Hauptsache es kracht ordentlich!" Sollte das tatsächlich der Fall sein, werde ich nicht der einzige NieR Fan sein, der sich wünschen wird das Studio hätte es nie gegeben. Ist aber nur eine Befürchtung für ein worst case Szenario. Square Enix wird denen schon klare Vorgaben setzen. Ansonsten mache ich mir ein wenig Sorgen, dass die Qualität einfach darunter leiden wird, dass die zur Zeit an so vielen Projekten hocken. Die Truppe tanzt ja aktuell echt auf jeder Hochzeit, zu der man sie einlädt. Keine Ahnung wie groß das Studio ist. Is the world of this game tied to that of the previous game? Will characters from the previous game appear? What will the game’s CERO rating be? Weapon-based action is at the game’s core. There might also be some familiar shooting. There’s a rotational element (360-degree camera view? ), but it’s apparently different from the previous game. Drakengard‘s familiar “Weapon Story” system will be in the game. Development is 10 percent complete. 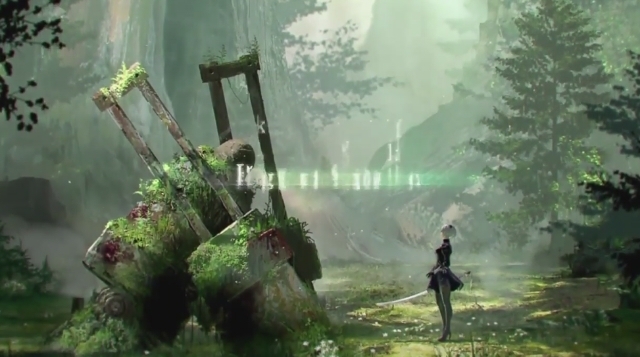 More details on NieR New Project are expected in the fall. "For this new Nier, we kept an action RPG mindset and thought, this time we want to hit out a great, high-level JRPG, so we're going to stick to one character design," Saito added. "Platinum is great at creating action games, and we've asked them to make things a little more simplified, slightly. At first I thought it was going to be a battle-heavy action game, but luckily for us, a lot of Platinum Games' staff members really respect Nier and took it to heart, and understand the project. "We're really fortunate in that they essentially took the battle system and the game design of the original Nier and added Platinum Games-type elements on top of it to make this hybrid if you will. It's not like it's a completely new game, they really have respect for the previous game." "Drakengard was my first game as director, and we were actually told a lot by our advisory board to do retakes and make changes and honestly, I said, screw this, I'm not making another one," Taro said. 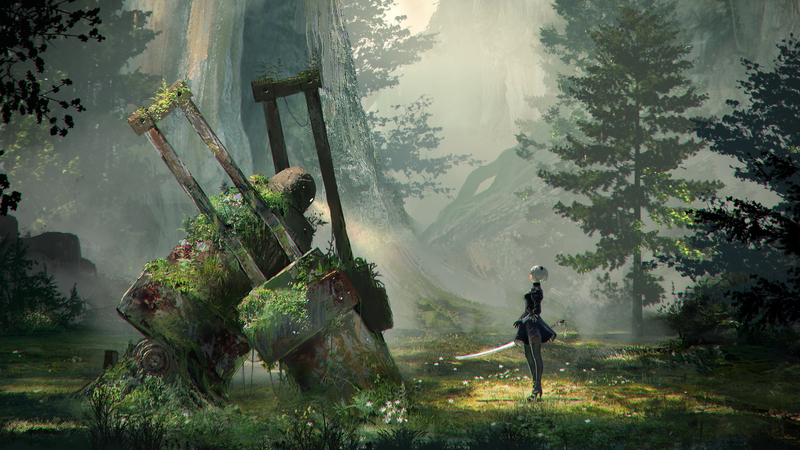 "I thought, with Nier, I'm going to make a normal game. 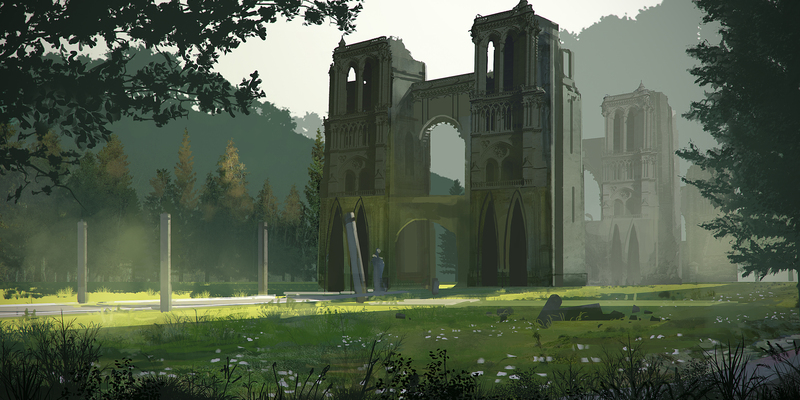 That's what I tried to make, a normal game, though people think it's very dark and somber. But for me, that's normal." He added: "The way I look at original Nier is like your mom's home cooking: it may not be the best, but it's okay, you're comfortable with it. 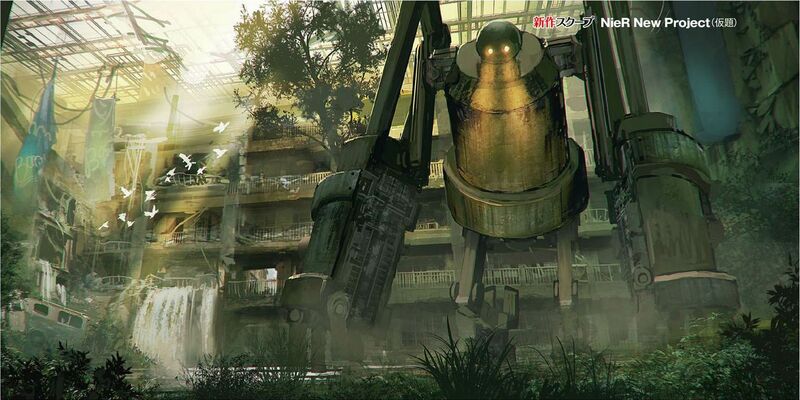 Members of the media told me the original Nier is like a puppy someone threw out. It's cute in a way, but there's something wrong in a sense, and you can't help but love it even though there's something missing and you can't put your finger on it. "But now we're working with Platinum games, and with Yoshida and Okabe, and we feel we have these great ingredients now. Is it going to be too perfect? We have all these great chefs, if you will, working together, and now, is it going to be missing that thing that made it so endearing to our fans? But after thinking about it, we think, we're just going to try it and see how it goes." Okay, scheint so als wäre meine Skepsis völlig unberechtigt gewesen. Ich freu mich drauf! Wie kann man sich in etwa Teil 1 vorstellen? Arpg mit Hammer story und atemberaubender Musik. @arty: das wäre es noch,würde aber ins PG boss-schema passen. Teil 1 gibt's leider nicht im Store. Kriegt man Teil 1 noch irgendwo zu humanen Preisen?